There is an actual 'Stairway to Heaven' in Iloilo - Check it out! There is a resort in Iloilo where you can find Heaven on Earth. The 14-hectare Garinfarm Pilgrimage Resort in San Joaquin, Iloilo is a gorgeous place for leisure and recreation. One could go fishing, horseback riding, kayaking, and swimming. However, the main attraction of the resort is the one-of-a-kind "Stairway to Heaven" that lets guests get in touch with their spiritual selves. 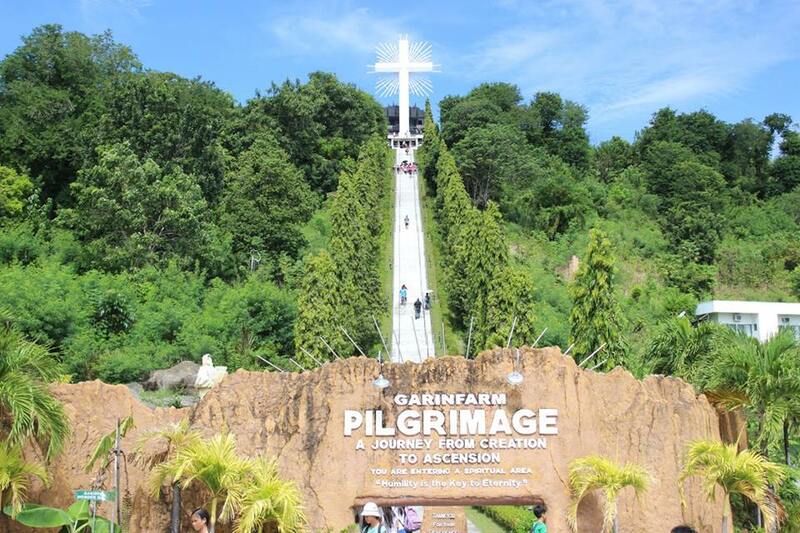 'Stairway to Heaven' encourages guests to go on a pilgrimage tour to the magnificently white Divine Mercy Cross that’s perched on top of a mountain. In order to get there, one must climb 480 steps of stairs and then upon reaching the top, enter a cave called the "dark meditation tunnel". As you pass through, you will see a light at the end of the tunnel. When you go into the light, you will be greeted by angels and by Saint Peter at the gates of Heaven. People who've been to the top said that it's an overwhelming experience and a breathtaking reward after a tiring journey.